This summer research was being done in the Natural Trap Cave(NTC), that some of us here in Utah got to help out with. Earlier this year a study by Julia A Meachen, Alexandria L. Brannick, and Trent J. Fry on the Beringian Wolf, fossils found at NTC, was released. It is a fascinating read. Pleistocene diversity was much higher than today, for example there were three distinct wolf morphotypes (dire, gray, Beringian) in North America versus one today (gray). Previous fossil evidence suggested that these three groups overlapped ecologically, but split the landscape geographically. The Natural Trap Cave (NTC) fossil site in Wyoming, USA is an ideally placed late Pleistocene site to study the geographical movement of species from northern to middle North America before, during, and after the last glacial maximum. Until now, it has been unclear what type of wolf was present at NTC. We analyzed morphometrics of three wolf groups (dire, extant North American gray, Alaskan Beringian) to determine which wolves were present at NTC and what this indicates about wolf diversity and migration in Pleistocene North America. Results show NTC wolves group with Alaskan Beringian wolves. This provides the first morphological evidence for Beringian wolves in mid-continental North America. Their location at NTC and their radiocarbon ages suggest that they followed a temporary channel through the glaciers. Results suggest high levels of competition and diversity in Pleistocene North American wolves. 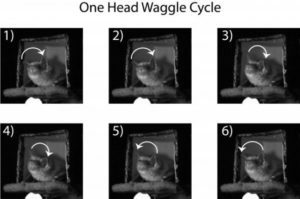 The presence of mid-continental Beringian morphotypes adds important data for untangling the history of immigration and evolution of Canis in North America. Read their complete and thorough study at Ecology and Evolution.com. Have you been down to the caves in New Mexico yet? 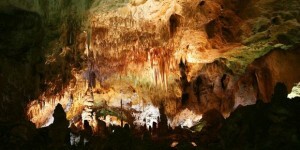 Here is an awesome article about Carlsbad Caverns. This was published in New Zealand of all places. They did a great job capturing the majesty of the caves! More than 400,000 people visit the Carlsbad Caverns each year to get a glimpse of the monumental stalagmites and stalactites, delicate soda straws, translucent draperies and reflective pools that decorate the park’s main attraction, the Big Room. But few experience the more extreme tour through Lower Cave or a lantern-lit history lesson in Left Hand Tunnel. Even fewer people get to crawl through the Hall of the White Giant and Spider Cave, which are the most difficult – and quickly booked – of the ranger-guided caving tours. Read the full article at NZ Herald. Early this year Petzl released a warning about worn out CROLL ascenders. Under certain usage conditions related to environment and technique, using a CROLL ascender that is worn beyond the retirement criteria can result in a hole in the stainless steel wear plate. Once the hole starts to form, the opening enlarges to the edge of the stainless wear plate and creates a sharp edge that makes the CROLL unusable with a foot ascender: the sharp edge can catch on the rope, preventing the CROLL from sliding and possibly damaging the rope sheath. The caver may then find it necessary to immediately stop using the CROLL, while he is still underground. Without a spare ascender, the only solution is to climb without a foot ascender, carefully, using only the footloop to avoid tensioning the rope in the CROLL. Worn out ascender and rope damage resulting from its use. In all cases the CROLL ascender must not be used and the product must be retired. Indicated by significant wear of the teeth (see photos) or by ascender slippage. Petzl offers more signs of wear and a complete safety overview of all their ascenders. Check it out and give it a look. It may save your life! 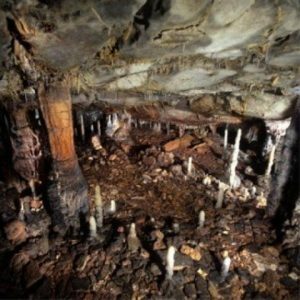 Genetic research is showing that certain types of crickets that live entirely in caves (in the Southern US) are more genetically diverse than their cousins who venture to the surface to forage. It seems like this should be the other way around, since the foraging crickets are traveling more in the caves and out of the caves. 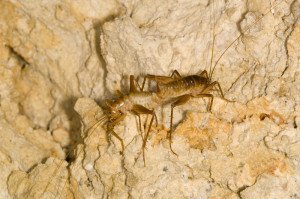 The crickets in the study live in a variety of caves in central Texas, from which the team collected specimens and then analyzed their DNA. 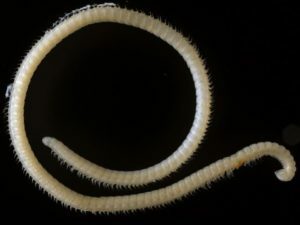 Ceuthophilus are known to be trogloxenes, meaning that they live parts of their lives in caves. Species in the Ceuthophilus sub-genus lay their eggs and spend the day in caves but come out to forage at night. Geottetix, meanwhile, are troglobites, which means that they spend all of their lives deep in caves. The team wrote that Geotettix have almost never been recorded on the surface outside a cave entrance. Read the full article at Drexel Now.